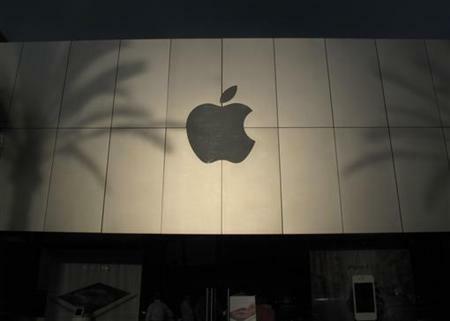 Apple, Inc. announced sales of $45.6 billion in the first quarter, up 4.6 percent year-on-year from $43.6 billion. Its profit for this quarter rose 7.4 percent to $10.2 billion from $9.5 billion. It also increased its stock buyback program, splitting its stock 7 for 1. Apple reported sales of 43.7 million iPhones; 16 million iPads and 4 million Apple Macintosh computers in the first quarter. Wall Street estimated iPhone sales at 38.5 million. The first quarter results, however, were a sharp decline from the 55 million iPhones and 26 million iPads sold during the holiday quarter. This performance was Apple record for that time of year. "We're very proud of our quarterly results, especially our strong iPhone sales and record revenue from services," Apple CEO Tim Cook. "We're eagerly looking forward to introducing more new products and services that only Apple could bring to market." For the second quarter, Apple expects to generate $36 billion to $38 billion in sales with a gross margin between 37 percent and 38 percent. Apple's revenues and profitability are the result of strong consumer demand for the iPhone over the past few years. But competition, especially from Samsung, HTC and LG, has been rising, especially in the high end market that is Apple's domain. Analysts criticize Apple for its stubborn refusal to produce more phones for the low-end market where growth is the fastest. The last new iPhone went on sale in September 2013 and features a puny 4 inch screen, much smaller than newer models such as Samsung's Galaxy S5 with a 5.1-inch screen. Even the rumored HTC One (M8) Mini to be released this autumn should sport a 4.5 inch screen. Apple is also being beaten in the OS market by Android. Research firm eMarketer estimates that Apple's smartphone market share in the U.S. will rise to 40.5 percent in 2014, up from 40 percent in 2013, but Android will beat Apple this year. Android's market share is expected to his 50 percent, up from 49.5 percent in 2013.